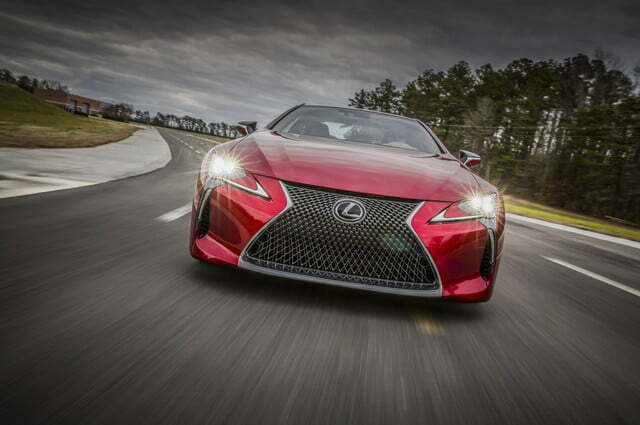 Lexus has something to prove. Almost since its inception, the luxury brand has struggled to distinguish itself from parent company Toyota and the established luxury car makers it shamelessly copied in its early years. 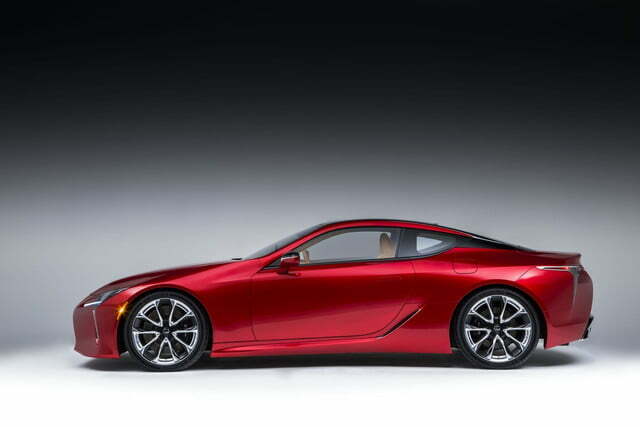 So when Lexus unveiled the swoop LF-LC coupe concept at the 2012 Detroit Auto Show, Toyota CEO Akio Toyoda saw an opportunity to silence the critics. 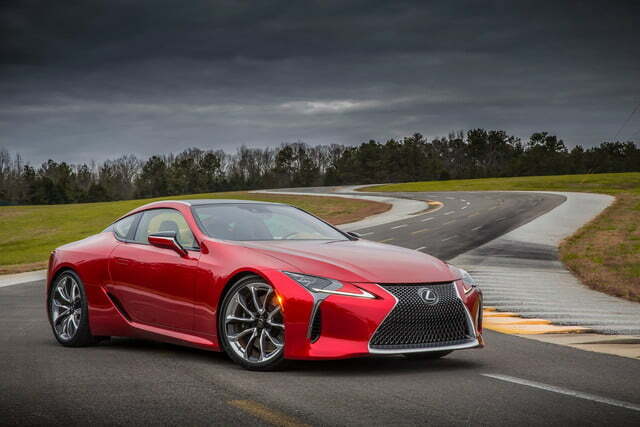 The 2017 Lexus LC 500 is Toyoda’s latest attempt to imbue the Lexus brand with excitement and a sense of identity. 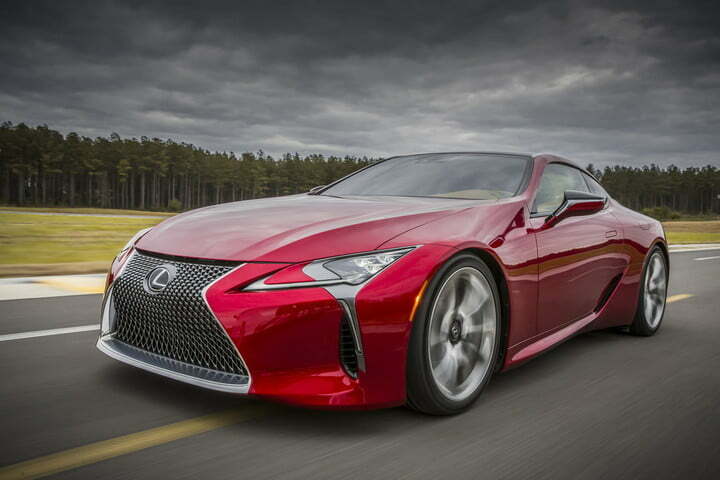 It does that by using the same strategy as other recent Lexus models, albeit on a more dramatic scale. 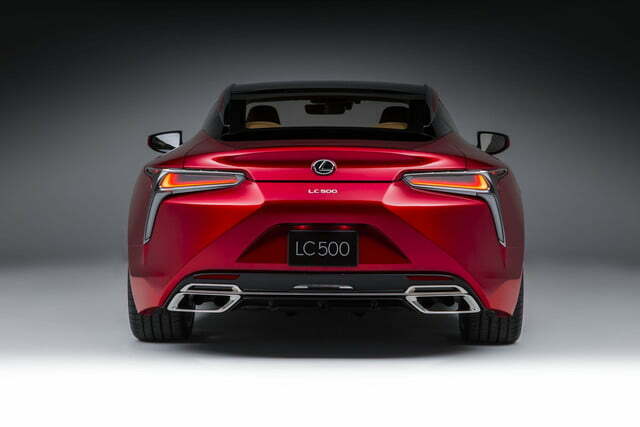 The LC is poised to take the place of the aging LS as Lexus’ flagship model. Styling stays fairly close to the original LF-LC concept, which means that, like every other Lexus for the past few years, it’s a love-it-or-hate-it proposition. 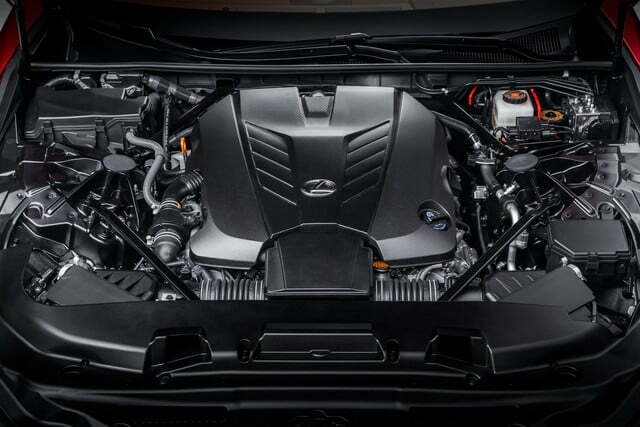 The proportions are spot-on at least, with a hood that looks long enough to shelter two engines. 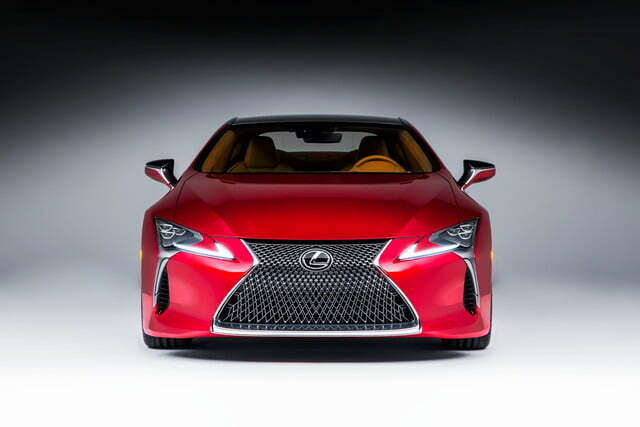 Lexus’ trademark “spindle grille” is an intimidating presence up front, and the lighting and other materials have been reworked to meet production demands. 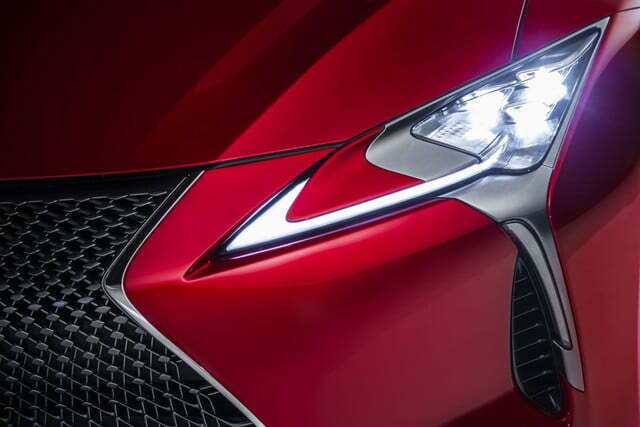 Underneath that long snout sits the 5.0-liter naturally-aspirated V8 from the Lexus RC F and GS F. It produces the same 467 horsepower and 389 pound-feet of torque it does in those models, and is mated to a new 10-speed automatic transmission. 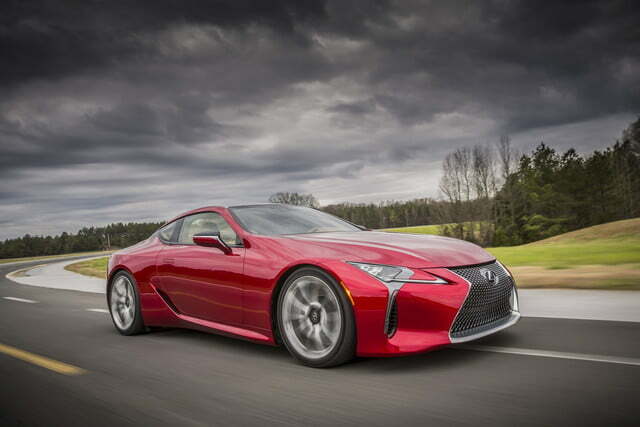 That will get the LC 500 from 0 to 60 mph in under 4.5 seconds, Lexus says, and it claims the 10-speed will shift as fast as fancier dual-clutch units. 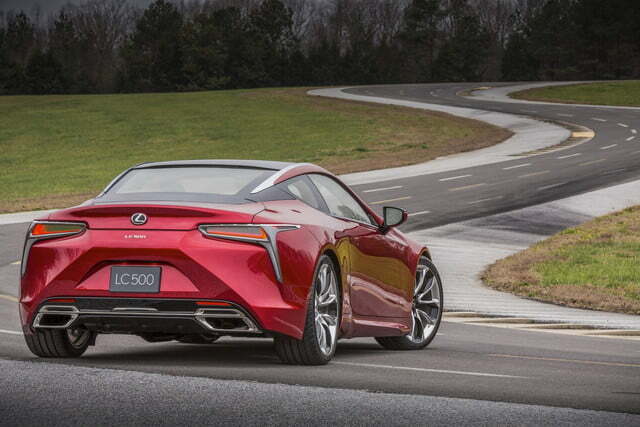 The LC 500 rides on a new rear-wheel drive platform with a 52/48 front/rear weight distribution that’s slightly off the ideal 50/50, despite Lexus going to the trouble of putting the battery in the trunk. Engineers also focused on weight savings, employing large amounts of high-strength steel and aluminum door skins. 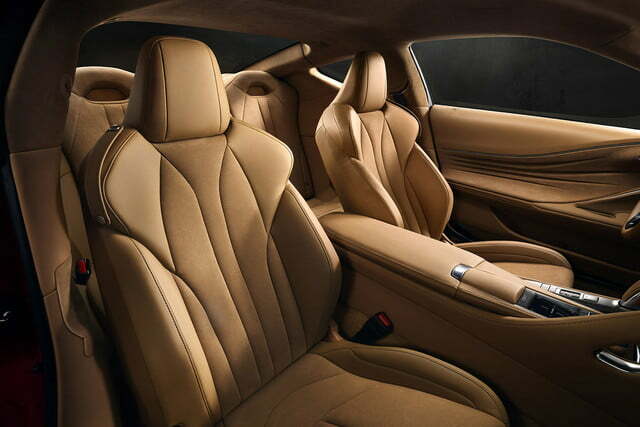 A low seating position and available carbon-fiber roof are meant to help drop the car’s center of gravity. 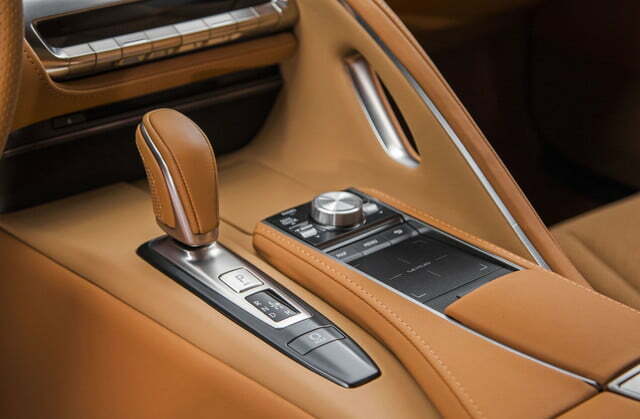 The interior is a somewhat jarring collection of shapes, including a passenger-side grab handle that seems obligatory on performance cars these days. 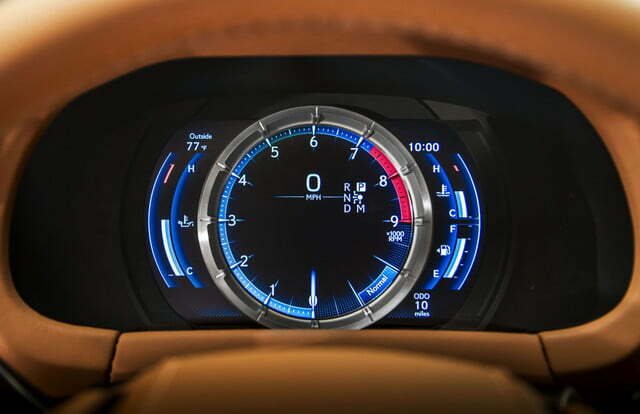 The LC 500 will get an upgraded version of Lexus’ current infotainment system, plus an available Pioneer premium audio system. 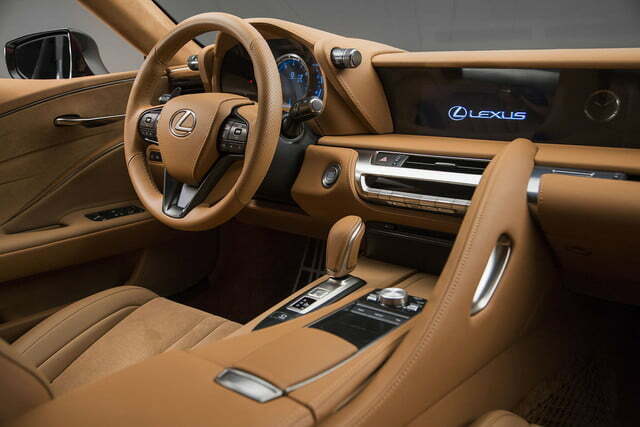 Pioneer engineers actually worked with Lexus’ own boffins to optimize the the interior’s sound performance. 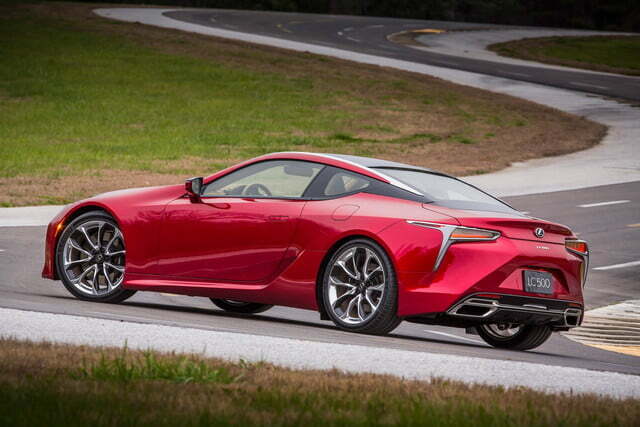 The 2017 Lexus LC 500 goes on sale next year, and there’s a lot riding on it. The big coupe is the production version of a popular concept, and it carries Lexus’ hopes that car enthusiasts will eventually view it as something other than boring. But the LC may be even more important as a way to secure Lexus’ luxury bona fides by giving the brand a high-end coupe to compete with the likes of the BMW 6 Series and bolster the more rarified end of Lexus’ lineup.